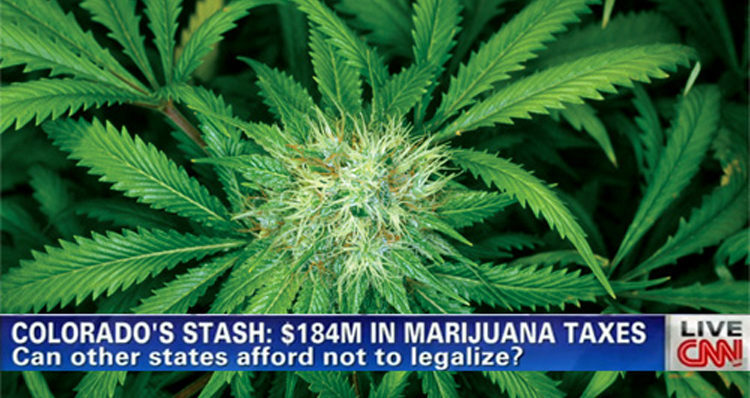 After Colorado earned 184 million dollars in marijuana taxes, should other states consider legalization? Colorado’s 2015 marijuana tax and sales totals tell a story of implementation and growth. While the state’s pot shops sold more than $699 million of cannabis in 2014, they moved more than $996 million in 2015 — a year when more pot shops opened, more municipalities started allowing these businesses and more customers found their way into the regulated market. Year-over-year totals for taxes and license fees grew too, from $76 million in 2014 to $135 million in 2015. “I’m really proud of our state and proud of our legislators and local officials, who have helped us transition away from an underground market so quickly so that our state can see the benefits of tax revenues, regulated sales, jobs and economic development” said cannabis industry attorney Christian Sederberg upon hearing the 2015 figures.